JD Power looked at what mobile banking features deliver the most satisfaction to customers. Their research found those things that had the biggest positive impact were: special offers (54%), person to person electronic payments (47%), banking alerts (42%), paying bills (37%), checking balances (35%), transferring funds between accounts (35%), finding branch or ATM locations (24%) and depositing checks (15%). Now you know what to talk to your core provider about the next time you bring them in for an update on system enhancements. Community bankers hear day in and day out about the benefits of mobile banking. Yes, it is what some customers want. Yes, it helps with efficiencies and cost-cutting. But, is there anything else you can do in this area to boost bank performance? Mobile is of course a big market. By most accounts, community banks that tap into this area deeper may also gain a competitive advantage. The Pew Research Center says about 67% of the US adult population own a smartphone and the numbers are expected to grow. 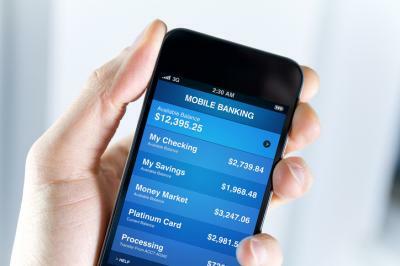 Released at the end of last year, the 2016 S&P Global Market Mobile Banking report included survey results from about 4,000 mobile bank app users. Many of those users provided some insight and we wanted you to know about it. So, instead of pointing out some of the obvious mobile banking facts, we thought we would drill down a bit more on the benefits of these apps and how community bankers can use this information to enhance your position in this mobile market. First of all, it is good to know that according to the survey, the most popular features of banking apps are the most obvious as well. This means you don't need to add anything too fancy or complex to make your mobile customers happy. About 82% use the check balance function, 53% use the review transactions feature and 48% transfer money between accounts easily on their phones with their mobile app. Of note, almost 50% said they had all features they needed in their banking app. That takes care of half the customer base, but what about the other half? Those who were looking for more functionality said features that were lacking included: budgeting tools (topped the list with 32%), followed by a photo check deposit feature (24%) and easy click to contact customer service (24%). Transferring money to another person also ranked high at 23%, along with update alerts at 22%. A notable nugget for community bankers is that of those who wanted budgeting tools only 18% said their banks offer those types of online benefits. This could be one potential area of opportunity. It is also quite significant that many users would in fact be willing to pay a monthly fee for their banking app services. Almost 40% said they would pay $1/month while 21% were willing to pay up to $3/month. Respondents earning less than $75k were the largest supporters of app usage even at $1/month, while interest in using it for a fee of $3/month was split fairly evenly across all income levels. Not surprisingly, millennials were the most willing to use the app at both fee levels. The survey also looked at regional variances. These are important to consider when reviewing your digital strategy as well. It was found that the Mountain region was the least willing to pay for a mobile banking app and the East North Central region (WI, IL, MI, IN, OH) did more in-branch activities than the rest of the nation. Meanwhile, those in the East South Central region (KY, TN, MI, AL) were the most willing to pay $3 a month for a bank app, while app users in the West South Central region (TX, OK, AR, LA) were the heaviest users of mobile bank apps. Pacific bank app customers were the least likely to have a teller transaction at the branch and in the West North Central area (ND, SD, KS, NE, MN, IA, MO), bank app users changed banks more than any of the other regions. In the South Atlantic, consumers were more willing to change banks to get a better banking app. Branches are still an important part of the banking experience for Mid-Atlantic bank app users, with even 73% of millennials speaking with a teller while visiting their branch most recently. Finally, the New England region stood out for having the smallest percentage of consumers switch banks. There are a lot of factors to consider when planning your bank's digital and mobile roadmap. Customer demographics, bank app adoption, usage, teller interactions and level of service are just a few to consider. We hope we have given you some food for thought, as your team speeds along the road of digital banking. Yields bumped up 4bp as investors processed robust ADP jobs numbers along with a 10Y note sale. 1) Sterling National Bank ($14.2B, NY) will acquire Astoria Bank ($14.5B, NY) for about $2.2B in stock (100%) or about 1.6x tangible book. Community bankers should check their loan portfolios for direct or indirect exposure to RadioShack. The retailer has started closing about 200 of its 1,500 stores (13%) and now is reportedly preparing to seek bankruptcy protection. Cisco cybersecurity research finds given a variety of constraints, organizations can investigate only 56% of the security alerts they receive on a given day. Further, 50% of the investigated alerts are deemed legitimate, but only 46% of those are remediated. A demographic breakdown by TimeTrade of ATM banking usage by customers finds Baby Boomers (44%), Gen X (55%), Millennials (57%) and Gen Z (58%).